Gazpacho New Mexican Restaurant, family owned since 1991, proudly offers the finest authentic New Mexican Santa Fe style menu in Durango. Our red and green chiles are specially grown in Hatch, NM. Located downtown with a free parking lot for its guests, our restaurant serves up more than just tacos, Tecate, and tequila. 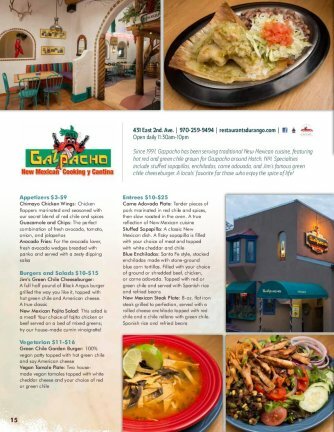 From vegetarian and gluten free menu options to Big Jim's famous Green Chile Cheeseburger and our variety of margaritas mixed from scratch ingredients, you'll find what you're looking for at Gazpacho. 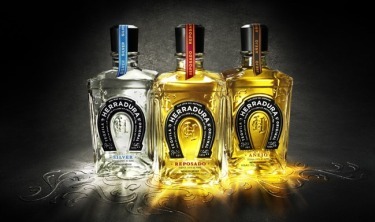 Our team travels to Mexico to handpick exclusive Herradura Tequila for shipment to our restaurant. Guests have the option to purchase their own bottle - which stays at the restaurant - for $125. Your servings of this limited quantity work out to just $6 each. It's a great way to enjoy top shelf, exclusive tequila with your friends or one glass at a time.